APRS, Buying used gear, and those illegal baofeng radios. I’ll dig into all of these and more in the October Your Questions Answered. 2 questions 1) What is the difference between low and high level digipeats? 2) why do you need 2 wide statements in the path like wide1-1, wide2-2 rather than just wide 3-3? 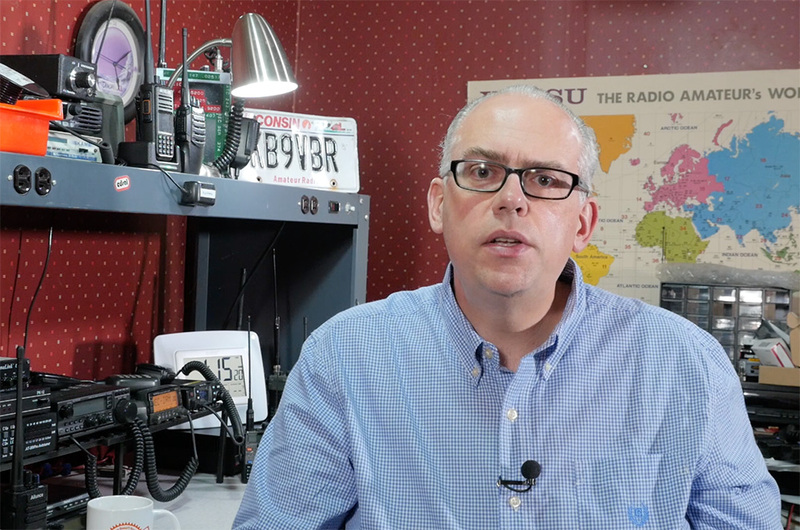 In my video on APRS SSIDs, Paths, and Beacons, I talk a bit about low level digipeaters, but I did leave a bit of the conversation on the cutting room floor. There are two different thoughts on digipeaters: Some believe that digipeaters should have a high vantage point and cover large swaths of area and others think that APRS should be a distributed network of low height digipeater and digipeat configured home stations to reduce overall channel congestion. The best is a combination of both types. The low digis work to fill in holes and catch the signal of weaker stations and the high, wide area, digis propagate the network further distance. A properly configured low digi or home station set up to digipeat will digipeat only Wide1-1 packets while a wide are digipeater will digipeat any WideN-N packet. So a mobile station or a tracker should use Wide1-1 as its first path position to ensure it will get into some type of digipeater. Once digipeated, the Wide1-1 expires and the next digipeaters work on the Wide2-2 path. Home stations should almost never use the Wide1-1 in first position. Those stations are not moving, so they should be able to hit a wide area digipeater. You’ll use only a Wide2-2 or a Wide3-3 as your path for a home station and not use the Wide1-1 at all. When you set up your home station, you’ll want to listen to the APRS channel for a bit to find which digipeaters you can hear directly and include them in your path to help reduce channel congestion (we’ll talk about that in a future video). Hey Michael, this is another great video. I’m going to be teaching a Technician Class course at my work and would love to show this video when talking about APRS. I really appreciate all the work you’re doing. 73 de N7CPM! Feel free to use any of my videos for educational purposes. They are great companions for studying for the Technician exam and when appropriate I’ll mirror the content from the exam question pool. 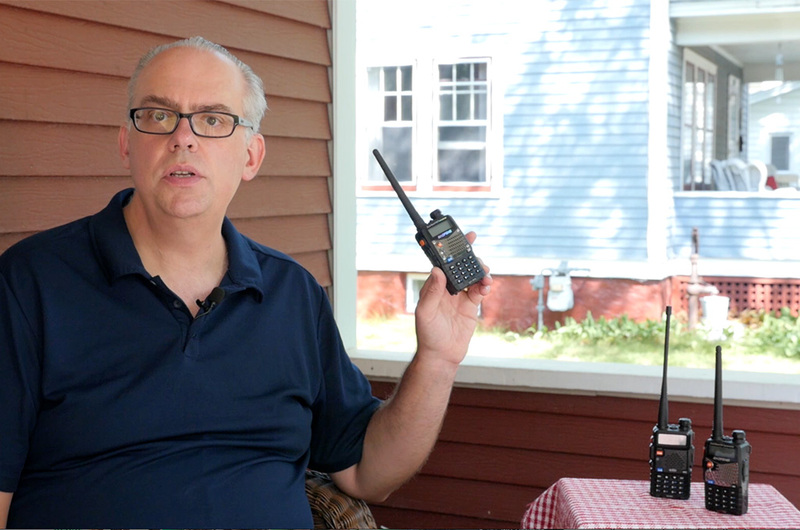 If you re teaching a class you may also want to check out my HF transceiver controls video: as it was made specifically to teach those concepts for the Tech exam. Links for it are below. That’s a common complaint that I hear- and it seems that HF equipment holds its value very well, especially radios that were produced within the last 15 years. But’s that’s not to say that there aren’t great deals out there. There is a trove of 90’s era equipment that is both quite serviceable and a good value. The older radios may not have DSP or the latest bells and whistles, but they often have very sensitive receivers great filtering. Strolling through a hamfest a couple weeks ago, I saw a couple of very good deals. A couple of tips I use are: do a quick google or eBay search with your phone on an item to see what the street price is and then make an offer on what you feel the value of the item should be. Some will budge and some won’t. Also, wait towards the end of the sale, if the rig is still sitting there, you may be able to scoop it up. If you aren’t familiar with the older gear, shop with more experienced ham, as they be able to offer insight on a particular rig. At the time this video was published, this might have been the case, but on September 28th, the FCC issued Enforcement Advisory DA 18-980 that changes the situation. If that Baofeng radio of yours is capable of transmitting on, say Part 90 or GMRS (as the one I have is,) and it does not posses certification for those services, then it is illegal to use it at all, even on the amateur bands. Well, the FCC’s advisory is a line in the sand, putting users of Baofeng radios and their variants on notice that their radios may not be compliant for use in the United States. A link to the public notice is below. In the public notice the FCC states that in order for a radio to be usable in the US, it needs one of two things: either be certified for an intended radio service, such as the Part 90 land mobile service or Part 95 Personal radio services. Or, if it isn’t certified, then it can only be capable on transmitting on the amateur radio bands, and no where else. But if a radio is certified for another service, it can also be used on the amateur radio service. We will most likely see a bit of backpedaling from the FCC. I wouldn’t be surprised if there are some modifications to this public notice and a clear exception for amateur radio use. Because as it stands, if the FCC where to enforce the rules as interpreted in this enforcement advisory, vast amounts of commercial radio equipment would not be able to be used nor would hams be able to modify or hack transmitters for amateur radio use, which flies in the face of a century of precedence and the spirit of ham radio. The problem the FCC has is that the genie is out of the bottle and there is likely a million of illegal Baofeng radios in use daily. They can’t legitimately enforce the rules. They may be able to slow down the import and sale of Baofengs, but they can’t stop the use. This story isn’t finished by a long shot. Well, that’s it for another month. Leave a question or comment and it may show up in a future your questions answered episode. and keep watching as for the coming month I have some more APRS videos planned, I’ll look at a recent hamfest find, and maybe even a product review. Have an idea for a future video, let me know. I’d love to hear it.